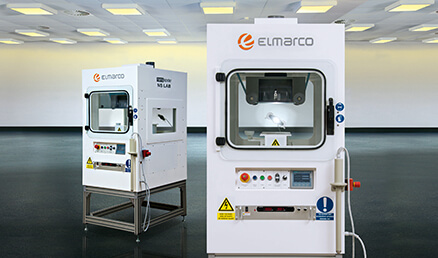 Elmarco provides needle-free electrospinning equipment for experimental work in nanofibers, equipped with the same electrode system as used in industrial production lines. Therefore researchers benefit from highly productive process and output material quality and homogeneity. On top of that the results from the laboratory work are easily upscalable to industrial scale manufacturing. Elmarco provides also precision air conditioning units explicitly designed to meet the needs of precision fiber production. Numerous laboratories around the world are engaged in nanofiber material research and its final application development. Elmarco welcomes their effort, as the nanofiber research shorten the way to the final market across many application areas. Elmarco delivers laboratory electrospinning equipment as a contribution to the further development within area of nanofiber materials. Recipes for various polymers are available for researchers as well, in order to employ existing experience with Nanospider™ needle-free technology, thus to move starting point forward. 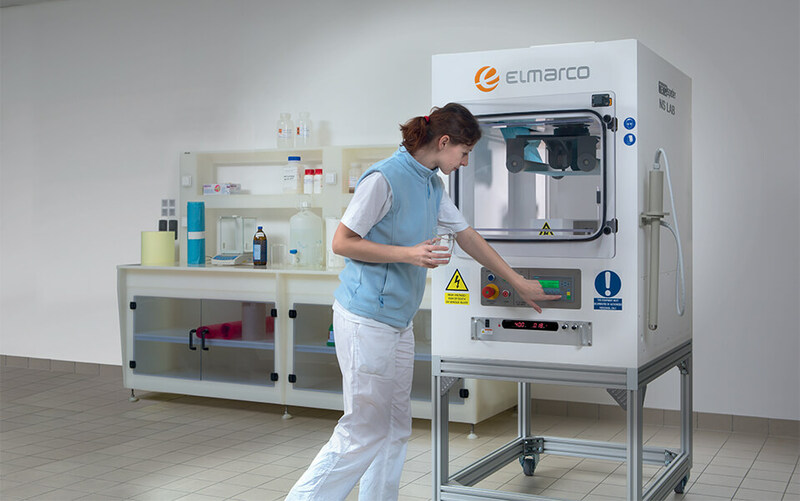 No matter if working on energy storage, regenerative medicine or filtration application, researchers can utilize Elmarco’s technology and know-how best when upscaling to higher volume production is needed. Research centers cooperate with Elmarco also in case when they need to upscale the results obtained on needle-based equipment. Science and basic research are supported too. E.g. by the latest upgrade of NS LAB tool, enabling observation of nanofiber formation on the spinning electrode. Nanospider™ technology is a patented, needle-free high voltage, free liquid surface electrospinning process. The technology is based upon the discovery, that it is possible to create Taylor Cones and the subsequent flow of material not only from the tip of a capillary, but also from a thin film of a polymer solution. The technology enabled Elmarco to build industrial scale production equipment with out nozzles, needles or spinnerets. Nanospider™ technology allows the production of nanofibers from polymers solved in water, acids or bipolar solvents and is suitable for the production of organic high quality fibers. This versatile technology is easily adapted to a variety of process parameters for the optimization of the specific properties of the produced nanofibers. The numbers of fibers per machine width is given by the distance of the Taylor cones. Nanospider™ free liquid surface electrospinning lets natural physics define this distance, rather than using individual needles. This allows higher fiber packing density and thus an increased productivity as well as better fiber homogeneity and more consistent web morphology.